Select or edit your Dream 11 Team MI vs KXIP before the match. Here's everything you nee to know ahead of Mumbai Indians'match against Kings XI Punjab at the Wankhede stadium. Having won their last three games at home, Kings XI Punjab will now head to the iconic Wankhede Stadium to take on Mumbai Indians in what is expected to be a mouth-watering clash in the Indian Premier League. Both teams have defeated Sunrisers Hyderabad in their last games. While MI thrashed SRH by 40 runs, KXIP won by six wickets. But Wednesday will be a new day and both teams know that carrying the momentum forward is an integral part of the IPL and while KXIP sit pretty on the third spot in the points table with four wins from six games, MI are fifth with three wins from five games. With the league closing in on the middle stage, each team will now look to grab the advantage and surge forward. Wicketkeeping: Keeping in mind the present form – Quinton de Kock is an automatic choice for the wicketkeeper’s slot. Batting: Both Mumbai and Punjab boast of some of the biggest names of world cricket ranging from – Rohit Sharma, Kieron Pollard, Hardik Pandya, Chris Gayle, KL Rahul and David Miller. 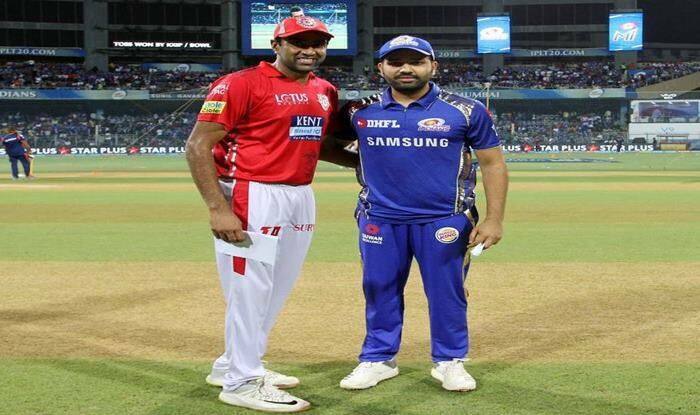 As the Wankhede track is known to assist the batsmen, picking up Rohit, Gayle, Rahul, Miller, Mayank Agarwal. Bowling: Keeping the nature of Wankhede strip in mind, the role pace bowlers become crucial for both the teams. Picking up world’s best T20 bowler – Jasprit Bumrah, last match hero and Windies sensation – Alzarri Joseph, Mohammed Shami will be a no-brainer for every dream XI fanatic. All-Rounder – Hardik Pandya has the ability and skill to walk into any limited-overs side in the world, he is an automatic choice for the role of an all-rounder. Rohit Sharma (C), Chris Gayle, Kieron Pollard, Hardik Pandya, KL Rahul, David Miller, Quinton de Kock, Jasprit Bumrah, Alzarri Joseph, Hardik Pandya, Rahul Chahar. Mumbai Probable XI: Rohit Sharma (C), Quinton de Kock, Suryakumar Yadav, Ishan Kishan, Krunal Pandya, Kieron Pollard, Hardik Pandya, Ben Cutting, Alzarri Joseph, Jasprit Bumrah, Rahul Chahar.